Loving this continuation in the Big Sky Mavericks series. Tucker Montgomery is the typical carefree, no strings attached kind of guy. When a potentially life altering injury forces him to abandon the set up of his new zip-line business, he must re-evaluate his life and somehow Amanda Heller his become a huge part of this evaluation. 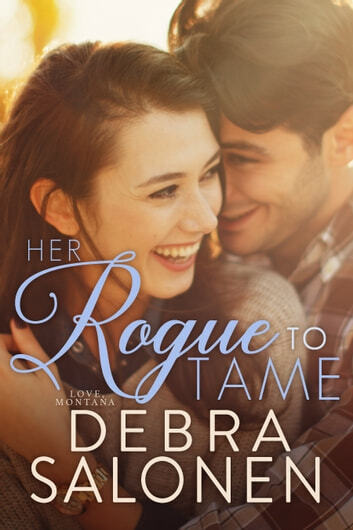 With plenty of laughs, romance and a few teary moments, Montana Rogue is a well paced and fun read. 2 thumbs up! ARC provided in exchange for an honest review. A summer fling, or should I say roommates with benefits. Two opposites are in Marietta Montana. Tucker, an injured fireman/male dancer is now building his zip line and Amanda has come to oversee the restoration of her grandma's house, whom she never knew. Amanda is a rich girl, that just ended her engagement. They both share the guest house on her grandma's property. As the summer progresses so does their love for each other. Loved the grandmas, Ona and Molly, both with such words of wisdom. Kind hearts and giving. Ms. Salonen did a wonderful job of writing on the alzheimers of Molly. I felt so bad for her and the separation from her family. This is well written book of finding love when least expected and opposites do attract. This book will have you laughing and smiling through out the story. It was great to see the wedding and catch up with the other characters from previous Big Sky Mavericks. This book is part of a series can be read as a stand alone. I highly recommend this series. I received this book from Netgalley for an honest review. Thank you what a lovely story. I enjoyed every word. Life is a journey and we dont know where its taking us. This story is very well written what a pleasure just to beable to read without correcting spelling in your mind.